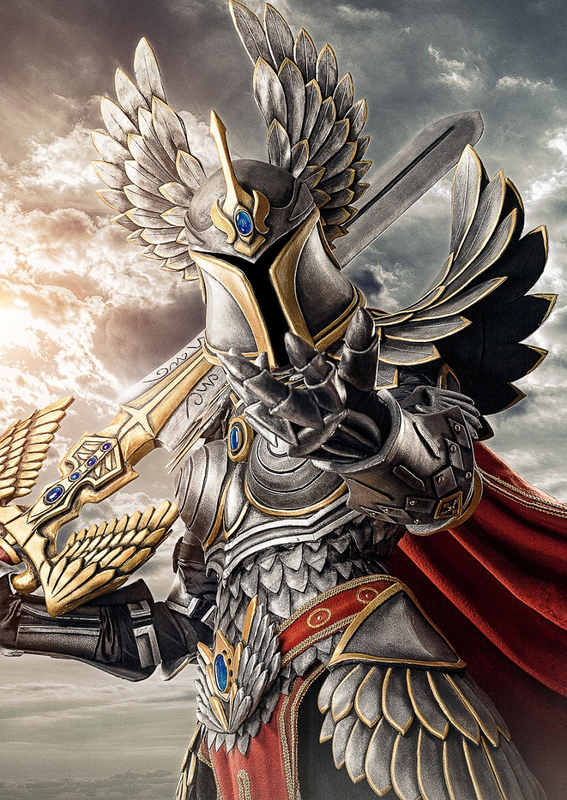 I always thought mimicing a look of metal armor would be so hard to achieve but it's actually quite the opposite! By using the right materials and tools, you can achieve a cnvincing look quite easily! 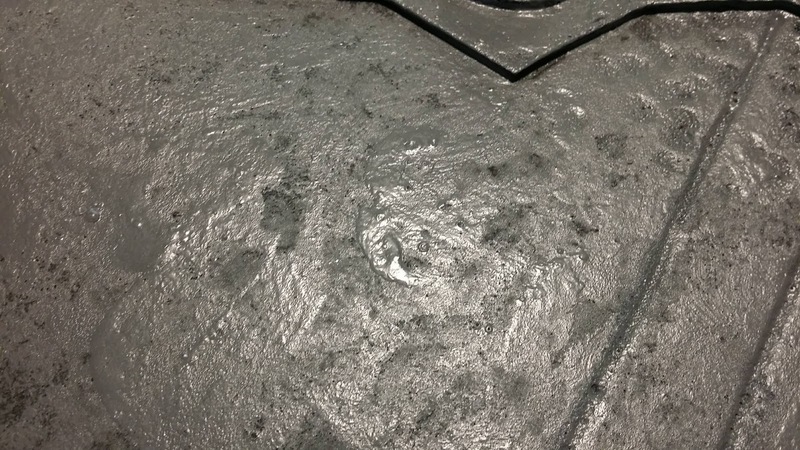 1) Start by using a good quality foam - not any kind of sleeping mat or yogga mat - those are too soft for armor and your foam will have bad properties. 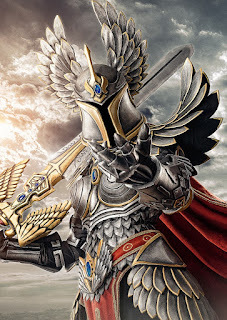 Look at my video tutorials about foam HERE. 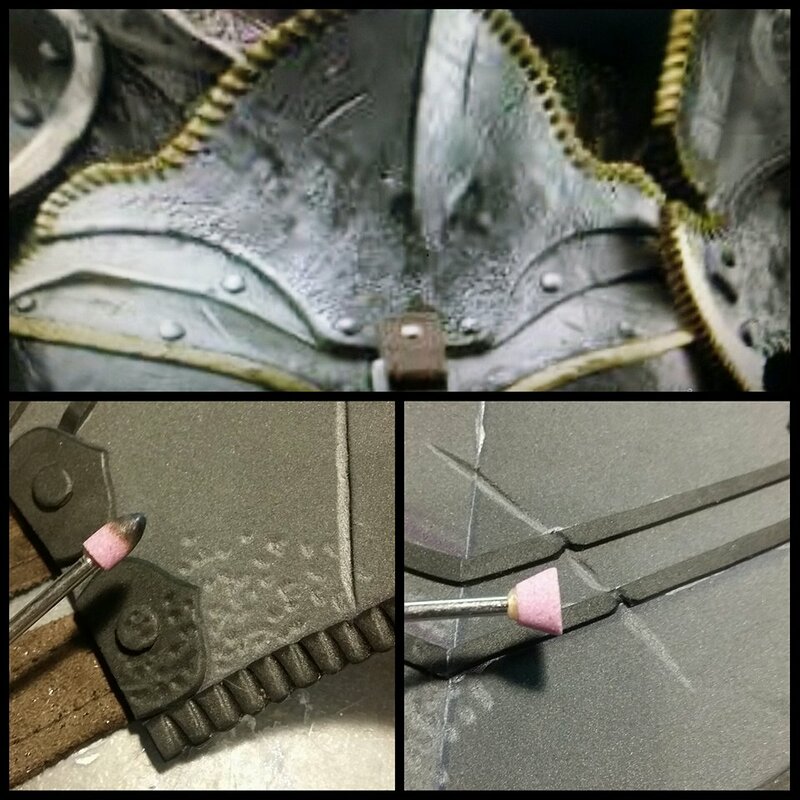 2) After finishing your armor to your liking, take your dremmel tool and use sharper tip for making scratches and a rounder tip for making "a pointy texture" in your armor. For those effects, you can also use a soldering iron/ woodburning iron or a knife and heatgun (if your foam opens by heating). 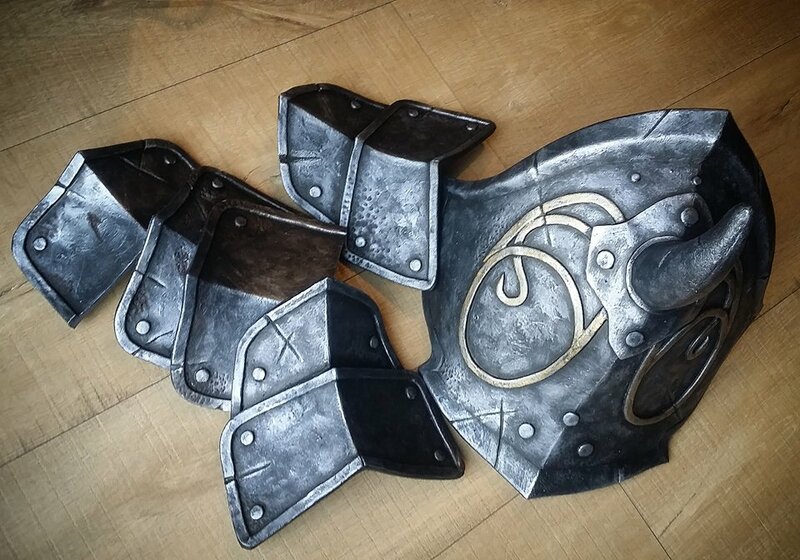 You can be creative and think of any kind of damage, that you want - bumps, uneven scratches, or even holes - I did this kind of damange, because I wanted to mimic the look of Apollyon's armor from For Honor. 3) After that, close the foam structure by slight heating with heatgun and take your Seal prime by Poly-props in a can. 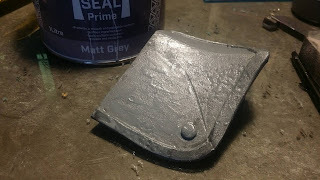 I strongly advice not to use spray can in this case, since we want the surface to be more uneven and spraying makes the sruface of the primer very even. Wear a safety mask with organic filters by using Seal Prime. Mix the can, take a smaller brush with longer hairs and apply the seal prime as unevenly as you can (but cover the whole surface with it) in at least two layers. Do not thin the prime - it's good if it is sticky. Don't be afraid to leave even bigger drops of seal prime to dry - just make it very uneven. 4) Take a matte acrylic color and paint the armor black. 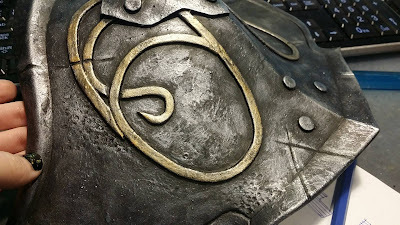 I use matte black because for worn metal armor the matter black makes a more realistic effect than a shiny black color. I use matte acrylic colors by Artemiss or Terzia. 5) Use a makeup sponge and dip it slightly in silver acrylic color. Then try to distribute the color evenly on the sponge to allow the sponge to distribute the silver color only in small doses. It' very similar to drybrush. Make just very slight movements on the foam to paint only higher based places and let the texture pop out! Do not overuse the silver color! Leave all the creases black, since dirt tends to stay on those places. 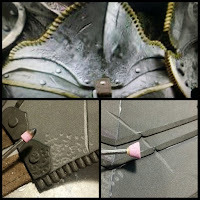 To make highlights or make the creases and battle damage look deeper, tak Pebeo silver acrylic color (that color is really bright and shiny) and paint the edges of your scratches with this color to make them look deeper and make them stand out more. You can use this color also on places, that are based higher like decoration edges or rivet edges and make effect as the armor is always polished by other things, that touches it.